A darkly compelling serial-killer novel introducing the next big name in psychological thrillers and, in Carson Ryder, a fascinating and complex protagonist set for many books to come. A darkly compelling serial-killer novel introducing the next big name in psychological thrillers and, in Carson Ryder, a fascinating and complex protagonist set for many books to come. ge - and the victim this time is no prostitute. Chasing shadows while their boss relentlessly undercuts their progress, Carson and his partner begin to suspect that someone close to them is the killer's ultimate target. And their only hope of catching the murderer lies in apparently meaningless ramblings written on corpses ... and the advice of a twisted sociopath. 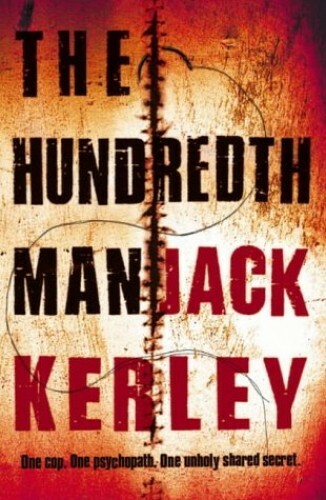 Recalling Michael Connelly's taut storytelling and James Patterson's searing narrative twists, The Hundredth Man thunders to a stark and chilling revelation in a riveting psychological thriller instantly confirming the newcomer as a master of suspense.